The retina sits on top of two pigmented layers that line the inside of the eye. These pigmented layers are called the retinal pigment epithelium and the choroid. These two layers contain a pigment called melanin, which is common to other parts of the body, such as the skin. When pigment containing cells are clumped together in the skin, they can appear as freckles or moles. When the pigment containing skin cells begin to grow abnormally, as in a cancer, this is called a melanoma. Similar to the skin, the inside of the eye can have freckles, moles, and melanomas. Freckles and moles inside the eye are called choroidal nevi. Although very rare, some choroidal nevi have the potential to develop into choroidal melanomas. Diagnosis: Choroidal nevi must be monitored carefully by an eye doctor. When possible, nevi should be measured and their size documented with photography and ultrasound. Significant growth of a choroidal nevus should prompt suspicion of a choroidal melanoma. Treatment & Prognosis: Choroidal nevi (freckles and moles) are generally harmless and require no treatment. Choroidal melanomas are treated by a variety of methods depending on size, location, and stage of disease. Prognosis depends largely upon early detection. 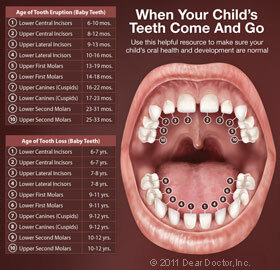 Finally, if you have any questions or concerns about teething, feel free to contact our office. 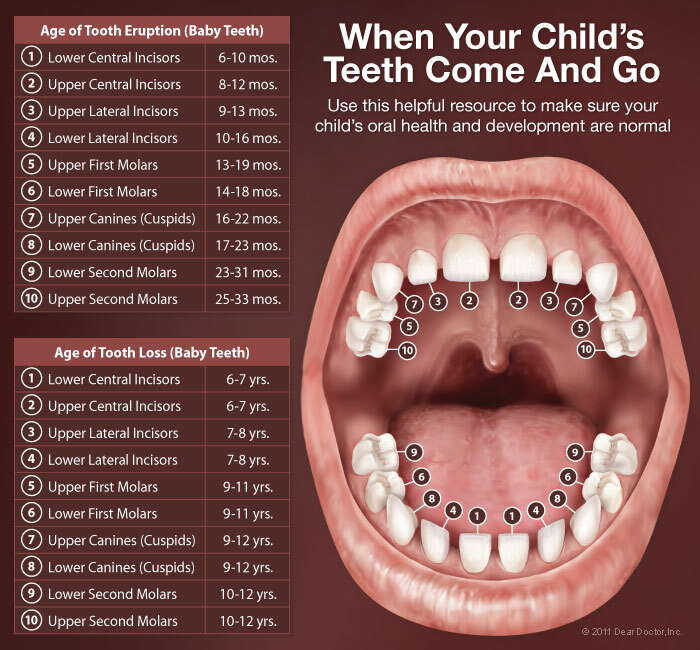 Remember, it's best to start dental visits by your child's first birthday to establish this lifelong health-promoting routine (Watch Age One Dental Visit Video). We look forward to meeting your little one!